It’s the season of change, and the best time of year to make budgets, plans and goals. One area worth reviewing is your ERP system or business management software. It’s not easy to make a switch to a new software while you’re in the thick of things throughout the year. That’s why the first few months of a new year can be an ideal period to consider something new. A new ERP can give your company a fresh start on its goals. Here’s 4 reasons you should invest in a new ERP software now. Do you find yourself opening one program for proposals and one program for billing? Is customer information tracked in multiple locations (including that dusty filing cabinet)? Are you relying on your email inbox to track tasks? Although it may feel easier in the moment to maintain this level of organized chaos, it’s holding you back from being as efficient as possible. Market Business News defines efficiency as “the quality of the work done, which usually includes creating output with less waste, spending less money and fewer resources.” What you need to start the year off right is a single software that provides you with all the tools needed to automate business functions. An ERP system like Mobile Office Manager (MOM) manages your projects, proposals, customer information and service history, finances and invoicing, scheduling, and inventory. That’s a single solution to operate all your front- and back-office functions. Take for example that cluttered inbox. Using the Project Management module in MOM, you can easily assign tasks to other team members and effectively monitor a project without sorting through your emails. Relying on multiple programs or outdated hardware to run your business can add up. You may be racking up IT bills just to maintain your current set-up. To top that off, there’s also money spent on the lost efficiency from using old systems. A new year usually means a new fiscal year too. Now’s the time to look at the books and analyze how much money your current system costs and how that compares to a more affordable cloud-based ERP system, like MOM. ESS includes regular updates at no extra charge as part of MOM, so you’re always getting the latest updates to improve your experience, too. The start of a new year also means your customers may be reviewing your services and how you meet their needs. The right ERP can go a long way in maintaining an excellent level of customer service. Having a web-based, real-time solution is a big asset. For example, after a call comes in, you’ll want to quickly locate and dispatch the technician who is closest to the job. With MOM, you can do just that from wherever you may be. Mobile Office Manager also gives you the tools to manage your customers with ease. It’s a paperless solution that will keep you organized and on track with projects, servicing and more. 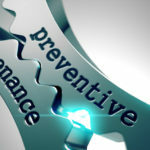 If your current ERP is keeping you complacent, it may be time to retire it. One way to know whether your ERP is still working for you is to evaluate your 2019 goals as well as your long-term plans. Can you grow your customers with your current platform? Will this system manage the business efficiently with new staff and field technicians? If you’ve outgrown what you have, or will soon, you should consider a new solution for your company. It’s easy to get caught up in what you need right now rather than look ahead. 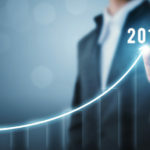 After assessing the top ERP trends for 2019, PC Magazine advised customers to try and test any ERP to ensure “it will address their feature needs in the future”. With ESS, you can try MOM for free to see if it’s right for you now and in the coming years. Not only does this cloud-based software cover all of your business functions, but it can be custom tailored to meet any additional necessities of your operation down the road. Want to learn more about Mobile Office Manager? Contact us now to see how MOM can work for you in 2019.